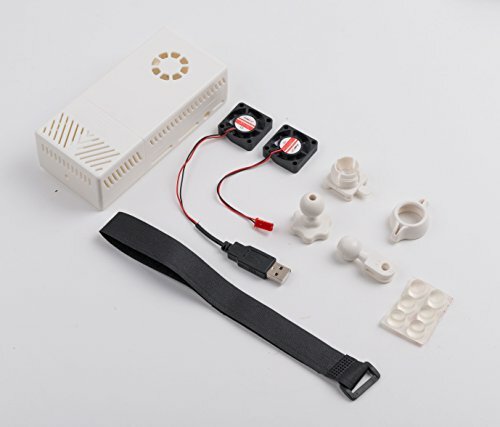 Summitlink V2 White Case Dual Fans for Stratux ADS-B Kit Fits AHRS Module and GPYes by SummitLink at iShare Maps. MPN: StratuxCaseWhiteV2. Hurry! Limited time offer. Offer valid only while supplies last. Made of fire retardant material. Suction Cup Link: https://www.amazon.com/dp/B06XSH5D4K/ref=olp_product_details?_encoding=UTF8&me= Fits AHRS Module. Fits AHRS Module. Dual fan configuration for better cooling of both Raspberry Pi and ADS-B receivers. No tools required to assemble.